Princesses are often royally busy, but they always have time to help a lost puppy, invite a new friend to tea, or even cheer up a little dragon! Each of these twelve stories is the perfect length for reading aloud in about five minutes, making them perfect for jam-packed days. 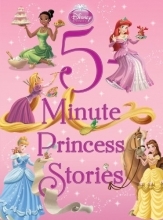 This treasury stars all the Disney princesses�including Tiana and Rapunzel�and features a padded cover, and beautiful full-page and spot illustrations. 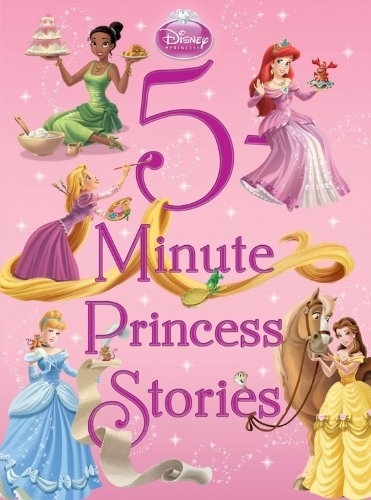 Now the princesses' adventures are the royal choice before bed, on the go, or any moment!